Riparian planting within the Beaver Creek sub basin aims to lower stream temperatures over time as the trees grow to shade the creek and create a localized microclimate. Newly planted conifers will provide a long-lived source of woody debris to the stream to trap and store gravels that will protect surface flows from air and solar exposure as the stream flows through the deep accumulations of gravel. 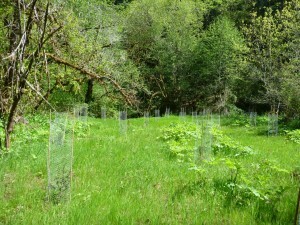 Wire caging to protect the newly planted trees from beaver browse is critical to survival along Beaver Creek. Since 2009, ten landowners have worked with the Council to plant native trees and shrubs on 24.5 acres of land along 3.3 miles of Beaver Creek and its tributaries. 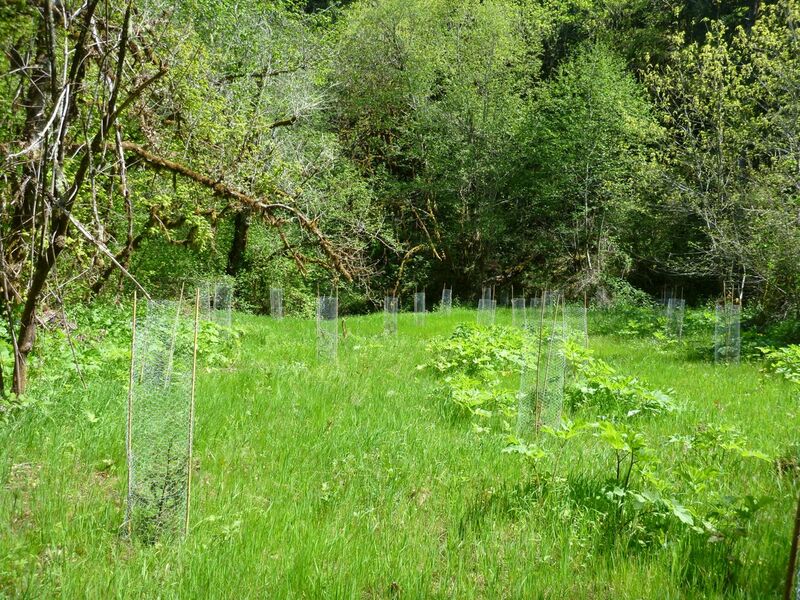 Support for this project was provided by the Oregon Watershed Enhancement Board, Walter T. Haswell III Wild Environment Fund, the Kelley & Belknap families and Meyer Memorial Trust.